This fabric is handloom cotton in yellow, we call it mustard yellow, whereas it more a fenugreek yellow with zari border. Now that we have taken care of the basic ingredient let us move on to the other details. I chose pink, green and gold to work the embroidery. 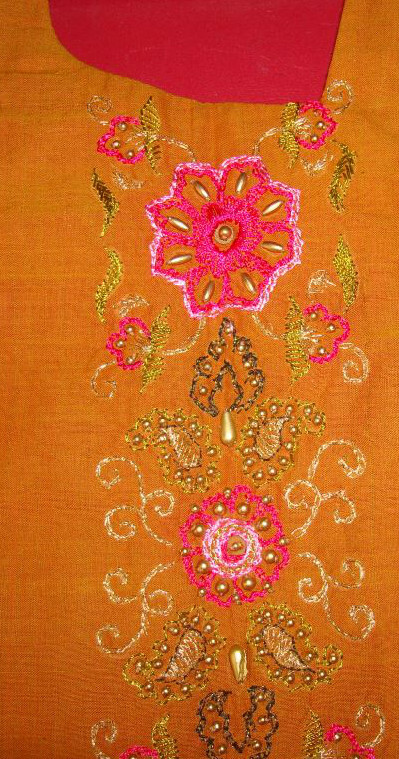 Cotton skeins were used for two shades of pink, metallic thread was used for green and zari thread was used for gold. 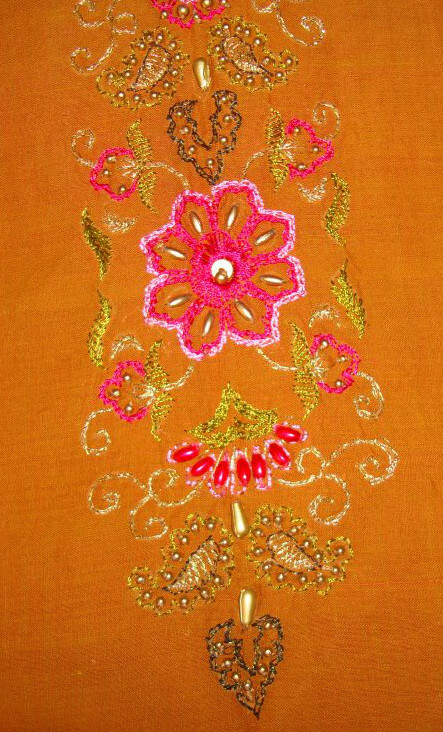 Pearl beads and antique gold beads were used for embellishing this embroidered yoke. 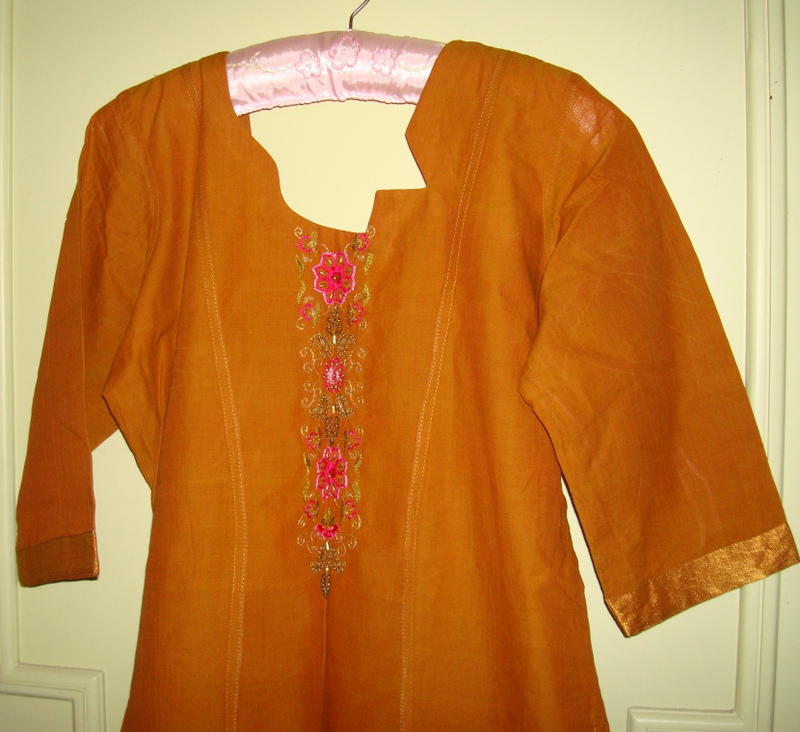 The tailor had worked this different neckline for this tunic. I am not sure whether I like it or not! I like the zari border on the fabric which was used for sleeves.